"ANTONIA'S PRINCESS" IS A FULL SISTER TO THE GROUP 3 WINNER "CROWN PRINCESS"
ANTONIA'S PRINCESS IS IN FOAL TO THE VERY CONSISTENT SIRE "BON HOFFA"
HE GETS HIGH GRADE WINNERS WEEK IN, WEEK OUT. BEAUTIFUL CROWN (USA) (1991). 6 wins, 3d Hollywood Harry Henson S., L. Sire of 726 rnrs, 507 wnrs, 11 SW, inc. In Top Swing (MRC Caulfield Guineas, Gr.1), Our Joan of Arc, etc. 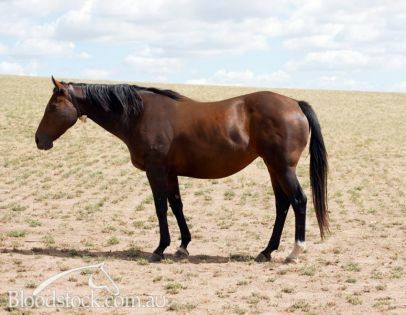 Sire of the dams of SW Hallowell Belle, Salade, Fuddle Dee Duddle, Haptic, Zoutenant, Hidden Pearl, Monument, Whittington, Bewhatyouwannabe, SP I Remember You, Brooklyn, Sebrina, Drizzy, Dynamite Jack, Goldie's Image, Heart's Delight and of Raay of Dreams, Tiarazou, etc. Sebrina (f Sebring) 4 wins from 1300m to 1900m, A$281,550, ATC McGrath Estate Agents H., Ascend Sales Trophies H., Monaco Cup, Sydney City Toyota H., 2d ATC Kensei H., More Than Ready at Vinery H., Happy 60th B'Day L Murphy H., TAB Early Quaddie 2YO H., 3d ATC James HB Carr S., Gr.3, Cecil Godby H.
Charming Prince. 2 wins at 1200m, 1400m to 2018-19 in Aust. Sebrings Drama. 2 wins at 1100m, 1300m in Aust. Shebrings Class. 2 wins at 1000m, 1100m in Aust. Rocinante. 2 wins at 1200m, 1400m in Aust. In Top Class (c by Beautiful Crown (USA)). 2 wins at 1200m, 1600m, 2d STC MTA Insurance Agency H., 3d AJC You'rewelcome at Sydneycitylexus H.
DEIHEROS (g Bon Hoffa) 5 wins-2 at 2-to 1400m, A$759,397, GCTC Magic Millions Guineas, RL, SAJC Magic Millions Adelaide 2YO Classic, City of Marion H., Morphettville Equine Clinic H., Leader Computers H., 2d SAJC Haigh's H., Melbourne Cup Live at Morphettville H., 3d SAJC Breeders' S., Gr.3, BRC Mick Dittman P., L, SAJC Sportingbet H.
Gold Bender. 4 wins-1 at 2-to 1300m, A$121,152, Wellington Boot, 2d ATC Australian Turf Club 2YO H., James Boag H.
Cimarron's Hero. 3 wins at 1000m, 1200m to 2018-19, TTC Liberty Onesteel H., 2d TTC D McKenna H., 3d TTC Veolia H., Cuccina H.
Gold Moss. 6 wins-1 at 2-to 1200m, A$111,710, 2d STC Aidan's Freeway Hotel H., 3d STC Motori Italiani Expo H., Grey Gums Hotel Penrith H.
Bon Bonito. 3 wins-1 at 2-at 1000m, 1150m, 3d TTC Shykoski 2YO H.
Goldie's Image (f Ready's Image (USA)) Winner at 2, 2d BRC The Phoenix S., L, 3d BRC Sky International 2YO P.
Goldviva (f Beautiful Crown (USA)) 3 wins-1 at 2-at 1100m, 1400m in Aust. Togold. 3 wins to 1400m in Aust. Gold Agent (g Beautiful Crown (USA)) 2 wins at 900m, 1100m in Aust. Golden Bella (f Beautiful Crown (USA)) Winner at 1400m in Aust. Producer. Antonia's Princess (f by Beautiful Crown (USA)). Winner. See below. Our Beecee (g by Beautiful Crown (USA)). Winner at 2200m in NZ. Sandstones (g by Salieri (USA)). Winner at 1600m in Aust. Little Beautiful (f Beautiful Crown (USA)) 7 wins to 1350m, BTC XXXX Gold H., 2d QTC JC Clark 2YO H. Producer. Antolomeo. 2 wins. See above. MOUNT VERDE (g Monashee Mountain (USA)) 9 wins-1 at 2-to 1300m, A$329,725, STC Maurice McCarten S., L, ATC Tony Patramanis H., AJC Dover Heights H., STC Quakers Inn H., Agricola H., 2d STC Jacob's Creek Moscato H., Bavarian Bier Cafe H., Veolia Environmental Services H, Lucky's Freeway Hotel H., 3d Hawkesbury RC NCP Printing Sweepstakes H., STC Love Vintage H., 4th STC Star Kingdom S., Gr.3. Race Record: Winner at 1200m in Aust. 2009 Androzzi (g by Shaft). Raced once. 2011 Luxembourg (g by Strategic). 4 wins to 1200m, TRC Wakeful Club H., TTC PFD Food Services H., Devonport RC Dudley Clark Tribute Race H., 2d TRC Southern Cross Care H., 3d TRC Jet Couriers H.
2015 Tonia (f by Shrapnel). Unraced. 2017 (c by Bon Hoffa). Slipped in 2010; not served in 2011, 2012, 2013, 2015, 2017. Served by Bon Hoffa. Date of last service, 10.10.2018.